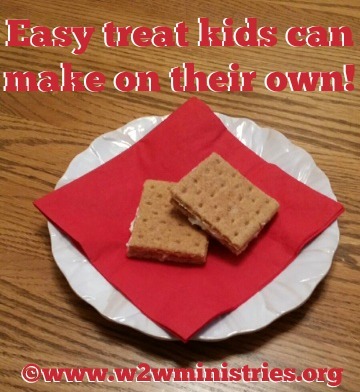 Today I want to share a delicious treat that is so easy, even young children can do it! My kids make these all the time and they do it all on their own. My 11 year old even made a ton of them for Mother's Day. Break the crackers in half, spread icing on top, then add another cracker. Makes a yummy cookie that everyone will love.